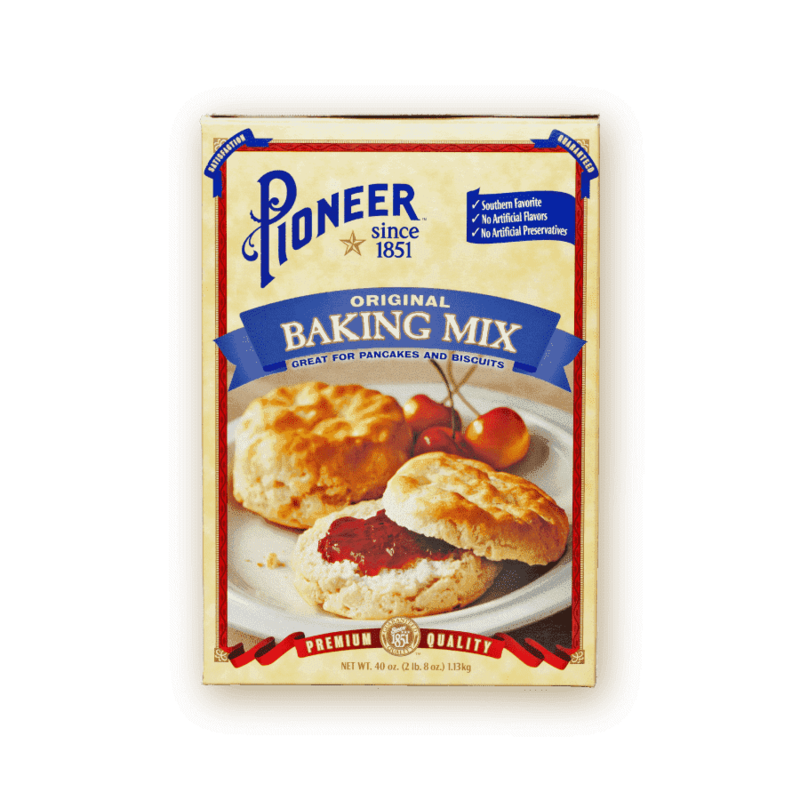 Pioneer Original Biscuit & Baking Mix is a real treat for both professional and at-home bakers. 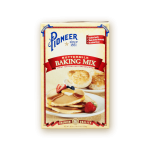 Enjoy the flavors that established Pioneer’s reputation as the superior baking mix that consumers have been craving since 1851. Ideal for whipping up a batch of biscuits or pancakes, this mix stands deliciously on it’s own or can be paired with any of our savory gravys for an extra boost of unforgettable flavor. HEAT lightly oiled surface to 350F. ADD 2 to 4 Tbsp. melted butter, if desired. COOK waffles 2 to 3 minutes. KNEAD 3 to 4 times. CUT with 2-inch cutter without twisting. PLACE together on lightly oiled baking sheet. BAKE 11 to 13 minutes. CORN SYRUP SOLIDS, BAKING SODA, SODIUM ALUMINUM PHOSPHATE, SUGAR, SODIUM CASEINATE, MONO & DIGLYCERIDES.